The art and beauty of Japan tied together from one cloth. For those in love with the culture of Japan,or planning to fall in love with this country, THIS IS A ONE TIME CHANCE. 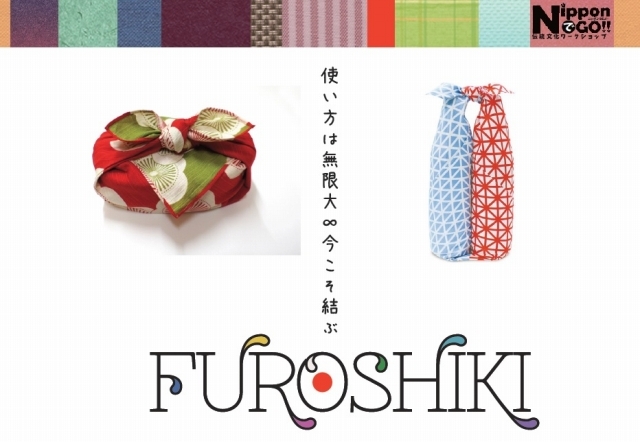 We proudly invite you to the world of diversity created by japanese cloths : FUROSHIKI. Feel free to register and join this workshop that teaches you all you need on how to use and understand the unique culture. Copyright (c) Eco Gallery Shinjuku. All rights reserved.